Retro has never been this relevant and slick with the 12-cylinder Ferrari Testarossa. The stunning sports car comes with a full-service history that’s been accredited to Ferrari dealers and specialists. With only four owners in total since 1990, it’s a classic that just can’t be beaten. With only 24 cars of this version being produced, you’re looking at lucky number 17. 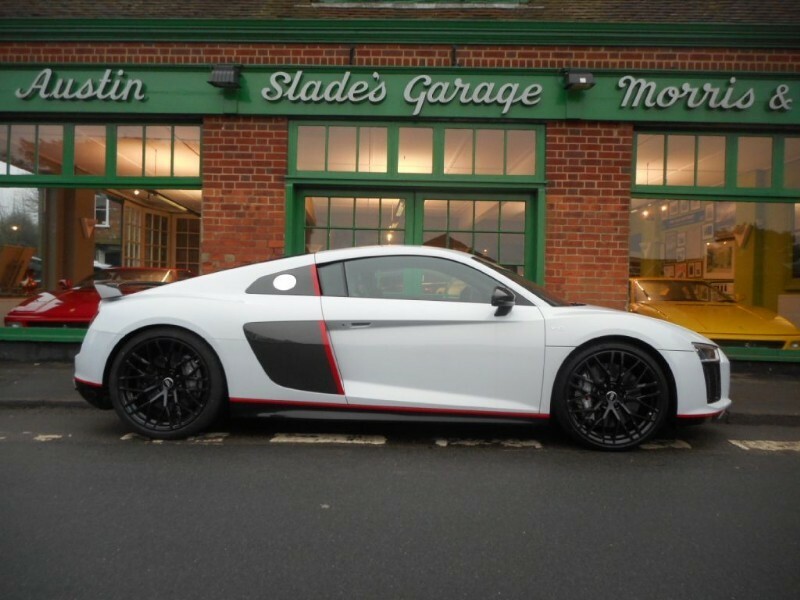 Finished in Suzuka grey with carbon blades on the rear spoiler complemented by red accents, it’s the Audi R8 on steroids. It is a tribute to Audi’s dedication to endurance racing, which has racked up 13 wins in the last 15 years and now it can be yours. The definition of a classic sports car, accompanied by British class. The Jaguar E-Type has stood tall through the ages to be just as head-turning as it was in the 60s. This particular model has the original but rare colour scheme of black on black, a completely rust-free engine and has been restored to its peak condition by Jaguar professionals. Whether you’re looking to buy or just in the mood to see something beautiful, pop in and see some of these cars and the many other distinctive and valuable cars we have in stock. It's worth phoning first though to make sure we still have the cars you're interested in at the showroom.